If your child is still wetting the bed at night, sleepovers can be a source of anxiety. The key is to focus on the special sleepover experience instead of the potential nighttime accident so your kid can enjoy the occasion. Going to a sleepover is an exciting childhood event. Whether it's an overnight stay with a grandparent or extended family or a sleepover party at a friend’s place, spending the night at someone else’s house is a rite of passage for kids as they get older. But, if your child is still wetting the bed at night, sleepovers can also be a source of anxiety. The key is to focus on the special sleepover experience instead of the potential nighttime accident so your kid can enjoy the occasion. What makes a sleepover different from other childhood experiences? For many kids, it could be the first time they are away from their parents, giving them a sense of independence while still being safe with family or a trusted friend. Most kids like to stay up past their bedtime, and a sleepover gives them the chance to be up a little later to have more fun. Movies, treats, games, and even a sleeping bag or makeshift bed on the floor can fill a kid with excitement about stepping out of the ordinary and into a new adventure. A sleepover can be a big step forward on your child's path to self-sufficiency. Don't let the possibility of bedwetting get in the way of the fun. 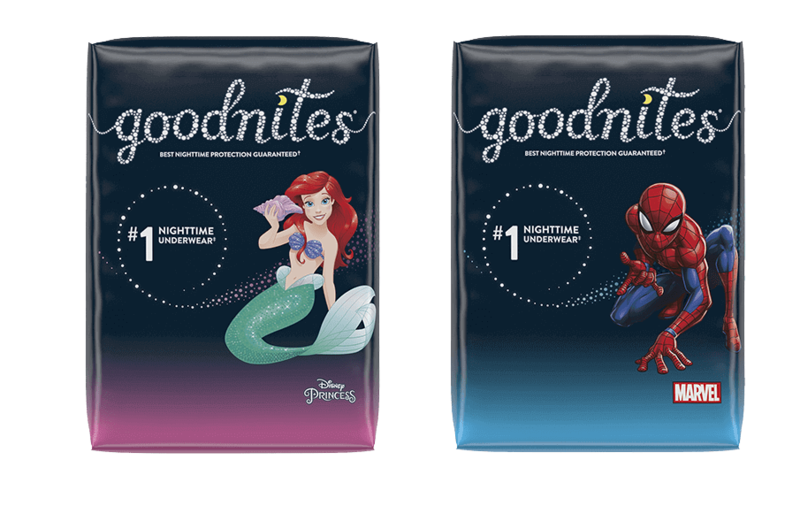 For comfort and ease of mind, products for nighttime wetting like GoodNites® nighttime underwear can give kids the protection they need at night. They won’t be self-conscious since the pants are discrete, soundless and odor-absorbing. Your child can get dressed privately in the bathroom if that makes them more comfortable, or just wear the GoodNites® to their overnight adventures so no change is necessary. The more kids can do on their own, the more confidence they will have to handle issues that come up in the future. If your child is too anxious about possible bedwetting, you can suggest an “almost” sleepover, also called a "sleep under." Your child can enjoy all of the activities and participate in the party aspect of the evening but get picked up right before bedtime. It’s easy to provide an excuse, like an early morning family commitment, that will allow your child to leave the party without raising suspicion and without subjecting them to needless worry. Some children may not be ready for neither a full sleepover nor a "sleep under," and that's okay! It can be a wonderful experience for children to enjoy these special childhood opportunities without letting bedwetting dictate what they can and cannot do, but only when they feel comfortable taking that step. When they are ready, kids can enjoy these events equipped with GoodNites®. Sleepovers are a cornerstone of happy childhood memories. When your kid feels ready for the occasion, you can help them with a plan to limit their bedwetting anxiety so they can focus on having fun instead.